Over the long term one can look at equity. One can also look at hybrid funds such as MIPs and Multi Asset Fund (which has 10% into gold). Even accrual debt funds look attractive at these levels. 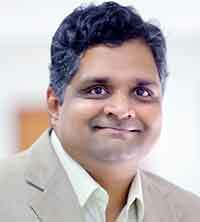 V Srivatsa, Executive Vice President and Equity Fund Manager, UTI AMC, is a B.Com graduate, C.A., C.W.A. and has a PGDM from IIM, Indore. He has been with UTI AMC since 2002. Prior to joining UTI he has worked with Ford, Rhodes Parks & Co., Chartered Accountants for 3 years and as Officer-Audit in Madras Cements Ltd. He joined UTI AMC in 2002 in the Department of Securities Research as a research analyst and he has covered diverse sectors such as Information Technology, Cement, Healthcare and Capital goods. He joined the Department of International finance in August 2005 as assistant fund manager and dealer for the offshore schemes of UTI and in December 2005 he was promoted as Fund manager managing three offshore schemes of UTI. In November 2009, he was given the additional responsibility of managing the equity portion of UTI Balanced Fund, UTI Retirement Benefit Plan, UTI CRTS, UTI Capital Protection Oriented Scheme and UTI monthly Income Scheme, UTI Wealth Builder Fund. Mr. Srivatsa currently manages Rs1700 crores of equity in the domestic schemes (Equity portion of the hybrid schemes) and Rs850 crores on the offshore schemes. What is your take on the market especially with macros getting impacted by dollar and crude? I don’t think the market is pricing in any of these risks in the current valuations, honestly if I draw up this scenario, like INR depreciated by 10% or crude at record high, any investor would say that markets would be under pressure or would give negative returns but strangely markets have been performing well. Of course, there are two phases of it, that market or Nifty on the headline basis has performed well but the underlying market has not done that great. But if we co-relate such situation to Nifty returns, it doesn’t gel, if you track previous such situations when crude has rallied so sharply or take an example like 2011 or 2013 when rupee had depreciated sharply, we have seen market under tremendous pressure at that point of time, thus likewise this looks like a rare instance. If we look at most of the marco parameters, they are definitely not positive by any stretch of imagination except for growth and I think at the end of the day, the markets have been quite resilient, we believe that this would put markets under some pressure. In addition, I think other big risk the markets are not probably pricing in is the change of election outcome. Well, today where the market is and the valuation implies that it will be a smooth affair if this current government continues. However, to trace the history of politics, it is always open to nasty surprises so very difficult to take a call but as a market analyst and a fund manager, I believe that any kind of negative outcome is priced in and this is an outcome which can seriously create some derating of the Indian markets. At what levels the dollar and crude will look more serious for Indian economy? The current levels are already serious; however, another 5% each or rather cumulatively 10% can put serious pressure on the economy, because the inflation would be under real pressure, then the government would have to intervene either by lowering duties or increasing the subsidies, thus either way, the fiscal deficit will have to take a hit. Also, especially it being the election year, the government would not take a risk, maybe another 5% they can manage but beyond that they will have to take a drastic action, they may kind of soften the glow but the important message here is that your fiscal deficit would be under pressure and the current account deficit would also tend to go up now. In the long run how do see the markets? In the long run, I don’t see much of an issue, the fact is that we have not grown much in the last 5 years, which gives us a platform that we can sustain decent level of growth in the next 3-4 years, yes we may see some hiccups like this. At the end of the day, this is all about adjustment, if everything moves in the smooth way it can be easily absorbed in the system. At times sudden spurt in the rupee and crude become tough for the system to absorb but if we look at the history of rupee, it is observed that whenever it has depreciated very fast there has been very big cooling off period after that, whereas crude I feel is expensive and it is in the overbought zone, I would not be surprised if it touches $100 or even $90, there is enough supply in the system, I am more confident that it would come below in the range of 65-75$. Rupee, I think is derivative of it, today we are facing a twin pressure, of other currencies depreciating pretty sharply and internal issues on CAD added to it, so if crude comes down and global pressure on other EMs lowers, we would again see a positive impact on the rupee. How do you value markets today, are there still opportunities or one should wait? There are limited opportunities, some lie on the banking side. Automotive sector has not done well at all in the last 6 months because of the regulatory issues and the margins as well are under pressure, we believe this sector looks attractive. IT and Pharma also look good. In addition, in the pharma space, the companies which are investing in the speciality space would do good maybe in the next 3-5 years. How do you see the political scenario impacting the markets? As mentioned earlier, the markets are not pricing in any negative impact but if we see a coalition government, then we can see some negativity, also as history suggest coalition governments are not that successful. What is your take on RBI rate expectation? We believe that there will be atleast one rate hike in FY2019, but there would be more clarity on how the data comes. Where do you suggest investors to invest in?